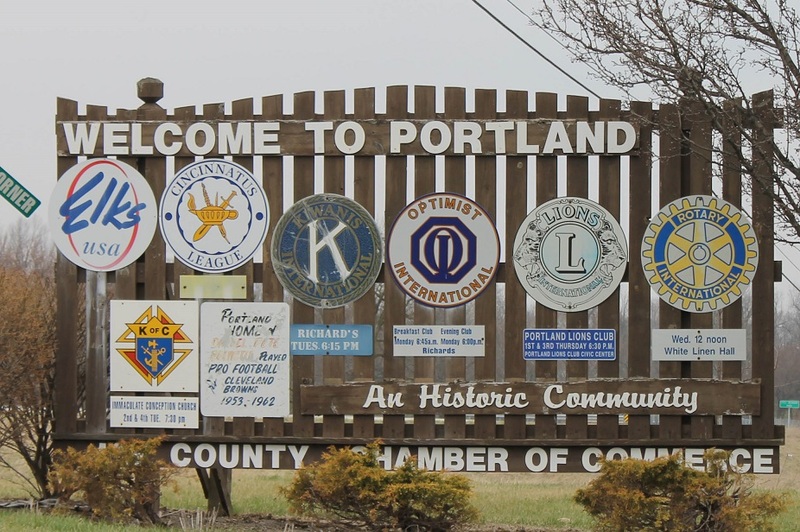 Portland is the county seat of Jay County. It is home to about 6,300 people. Our county seat is the only community that has retained its original name. Jay County was organized in early 1836. By September 4, 1837 the town of Portland had been platted and named. Drive over the concrete Bowstring Arc/Arch Bridge on South Meridian Street. It is the only bridge of its kind in Indiana. Stop by the Community Resource Center across from the post office on South Meridian Street to see the 1910 Elwood Haynes automobile. Elwood was born in Portland. Visit the historic courthouse built in 1916 on West Main Street. It is the 4th courthouse for Jay County. Notice the marble walls and floors throughout. Hunt the fox in the marble at the west entrance. See the beautiful dome that tells our history in four murals. Stop by the John Jay Center for Learning at the southeast corner of East Main and South Meridian Streets to see what can be done in restoring a 1926 historic building to serve our citizens for generations to come. Take the time to have a nice meal in our various restaurants. Check out the street full of shoppes at the southern point of town. Here was the 1st natural gas well for the state of Indiana. Go east on Votaw Street to the fairground. See the beautiful round Floral Hall built in 1891. Turn south to East Main Street. Go east to the end of the street to visit the Jay County Historical Society's museum, and learn why we are the only Jay County in the United States. It is open Monday through Friday from 10:00-12:00 and 1:00-4:00.